There’s only two full-scale professional trade shows in the manufactured home profession today. Louisville and your South Central Manufactured Housing Institute (SCMHI) event in Tunica. At least two of you personally know the sources for our report on Keith Holdbrooks and Clayton Homes decision to scale back in 2017, and to not participate in 2018. By holding the story linked above until after the event, I’m sure you understand how that protected the show for 2018, and maximized the event’s odds for success. All three of you are deeply aware of what we’ll politely call the ‘industry’s politics.’ Too few are willing to speak out publicly about what many are discussing privately. 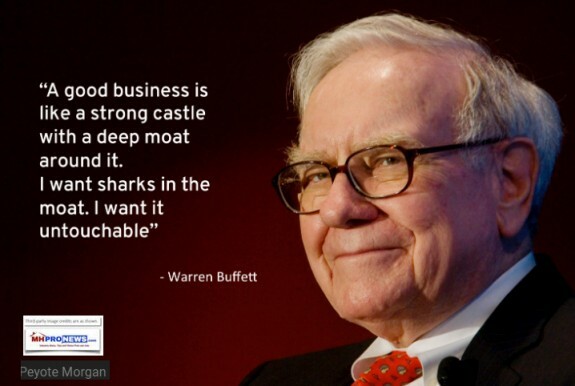 Namely, the various ways that Clayton Homes and Berkshire Hathaway owned companies are exercising their power in – and over? – the manufactured housing industry. I have two way communications with those in MHI, MHARR and their members, including with 21st (among others), as well as with those who aren’t a member of either national trade group. 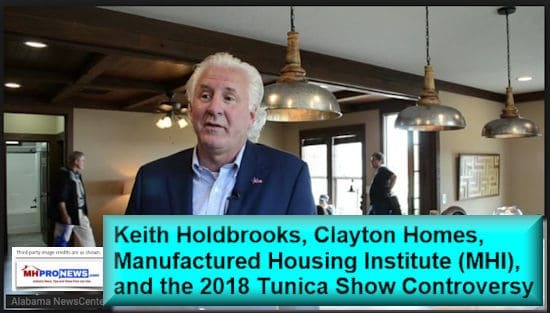 As you know, in 2018, the bulk of the homes on display in Tunica were from producing members of the Manufactured Housing Association for Regulatory Reform (MHARR), with fewer exhibitors from among Manufactured Housing Institute (MHI) members. As someone approaches retirement, several things can happen. careful public positions are often taken. Among the things that can happen for anyone – but perhaps particularly for those approaching retirement – is that fear and self-preservation motivations may set in. We understand those realities. There are states, certain executives have told me, where 50 to 70 percent of the floor dues paid to a state association come from Clayton Homes, or result from sales of other HUD Code manufactured homes sold by a Clayton retailer. Since Kevin Clayton did that video interview, their market share went from 25 to some 50 percent of the industry’s new home production, per their own data and statements. It does no one any good to ignore the obvious. As a show attendee insightfully said to me this week, “the trajectory of the industry” has been toward consolidation. It’s not revealing our sources to say that at least 2 of you know the sources for our Holdbrooks/Clayton report. It’s obvious that Clayton et al can exert “pressure,” be they in the Tunica Show, or not. We’ve been told by industry members that some felt compelled to be in MHI, and some feel compelled to support certain events. Other forms of pressure are applied to smaller operations. It’s high time for more MH professionals to do whatever they can to combat Berkshire Hathaway’s (BH) and their MHI mouthpiece threat to the independent operations in our industry at all levels. You 3 don’t have to speak out publicly. But you can take several private steps to insure the independence of the Tunica show going forward. Let me tell you some of what this year’s Tunica event reinforced for me. We know from website statistics what readership is like. But we learned from the numbers of attendees who stepped up and commented, or thanked us, etc. that your crowd includes our audience in significant numbers. And our audience includes the giants, but also those who overwhelmingly want to stay independent. Thinking out loud. Don’t you think that giving aspects of the show to cronies of MHI is short sighted? You surely know how this works. What a crony learns, they report back. When you put a crony on a platform, you may be sending a message to your attendees that is problematic. You can send the industry, MHI and Warren Buffett’s brands a powerful signal. You can show your support for those non-BH independents – retailers, communities, producers, and various product/service suppliers – without turning away the Berkshire brands. But if I were you, I’d let those Berkshire brand companies politely understand that they don’t dictate to the SCMHI show. We have reasons to believe that for a variety of market and legal reasons, in the next few years, Berkshire’s grip on manufactured housing could be broken (think about this point in terms of allegations such as class action, antitrust, tortious interference etc.). Don’t make your final legacy that of a door mat. The French after they were conquered by the Nazis during WW II created a resistance. That resistance movement became critical for them to get back their freedom, just a few years later. 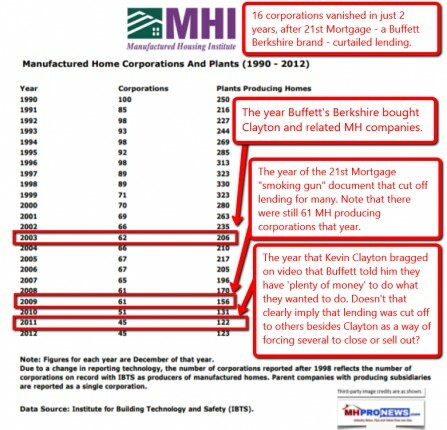 In hindsight, Buffett and Berkshire didn’t “save” manufactured housing in 2003; they arguably set about to conquer the industry. Directly and indirectly, through commission and omission, they and their Arlington-based association tool witnessed the destruction of thousands of independent businesses, including several producers of HUD Code manufactured homes. Many of those now defunct producers used to be built in the region that supplies your show. Jen, Doris and Dennis – please be courageous enough to resist BH and MHI any way that you can. Be loyal enough to those independent industry colleagues you’ve met and known to resist the bullies whose various alleged practices reduced a once-great industry to its currently modest status. 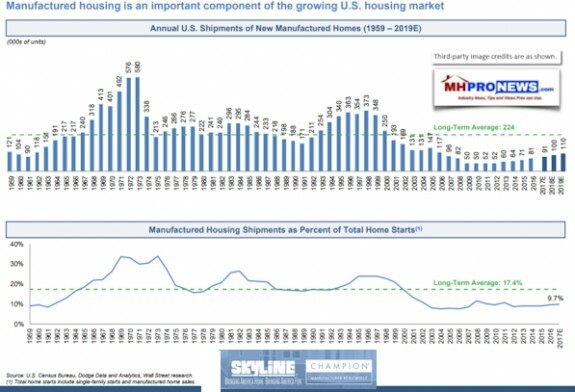 I’ve said before, even as a 25-plus year manufactured housing veteran, it took time to begin to fully appreciate what was happening in the industry. Looking back, it’s easy to point to ways they targeted us for elimination, years before we spotlighted first MHI, and the BH. Dennis, you and others like you surely must realize that you’ve been targeted too. Sure, you can retire as planned, or you can go out with a flurry in a grand fashion. No announcement needs to be made. No challenge or gauntlet has to be tossed down. But you owe it to thousands to join the #BHResistance, the #antitrust crowd. If the SCMHI does so, I predict the 2019 show will be the best event ever. When independent retailers die – or are killed off – it is no surprise when the factories that supplied those ‘dealers’ are killed off too. That’s the trend that the MHI chart above also demonstrates. 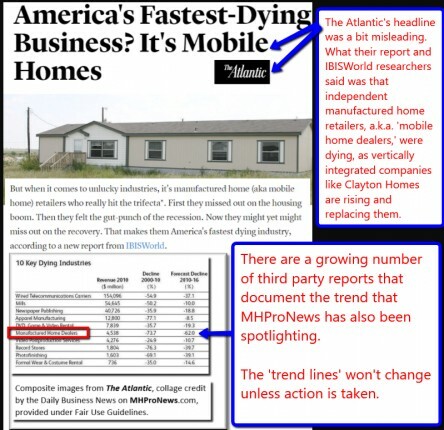 As independent retailers grow fewer in number, so too there are fewer independent producers of HUD Code manufactured homes. Think about the allegations like those noted herein or linked, and the mounting evidence. Think about charts like those above that reflects how those independents you’ve known for years were wronged by forces they may fully understood at the time. Resistance will bring its own rewards. We chose not to be slaves of monopolistic forces. We work and pray daily for the future of our great industry. May manufactured housing experience a rebirth that yields new glory days. PS: Readers should not presume that any of the three addressed, nor the provider of the photo at the top, are a source for information to MHProNews. PSS: Manufactured housing isn’t the only industry that ‘consolidation’ is taking place in. It may or may not work the same in other indusries, as it has in ours. But across the left-right media and political spectrums, there are a growing number of voices calling to break up the monopolistic tech giants, and are sounding the alarm about giant players like Buffett’s Berkshire. Ignore the warning signs at your own peril.